You are welcome to bring your Canine friends as long as they are on a leash, friendly and in your control. After your tasting, we just ask that you move outside to the deck or screened porch. 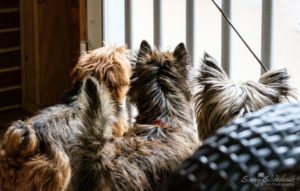 We work with three terrier rescue groups by fostering transporting and matchmaking; so we understand loving to be with your dogs. Our Terroirier wines are in honor of our terriers and a portion of the proceeds goes to the three rescue groups we work with.